For five generations we have been providing communities with the highest quality firewood, starting in the late 1800’s with Great-Great Grandpa Watkin in rural Camden, New York who delivered his wood into town stacked on a sleigh. Now, we still provide the highest quality firewood, and we deliver it with efficiency and care as we have always done. We use only hardwoods, split for each piece to be easily held in one hand. We cut our wood to 16″-18″ but smaller or larger lengths are available upon request. We also provide firewood logs and premium restaurant 100% cherry fine split firewood. Our customers LOVE our landscaping mulch. We provide a product free from pallet wood and construction debris, using only recycled trees from our tree service. Our premium product is reground and color enhanced for a beautiful product that many landscape contractors use exclusively. 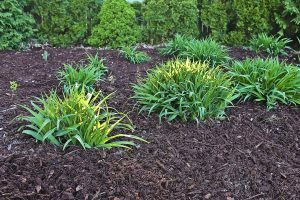 We have natural and dark brown mulch available. Contact Watkin Tree Pro today at 616-786-2265 for more details.